Not satisfied with just one new review this evening, I have another to share with you guys. It's a Wii U eShop game. (I'm noticing a pattern lately.) It comes from an independent developer. (I'm REALLY noticing a pattern lately.) It's Ping 1.5+, and here's my review on this colorful, retro wonder. 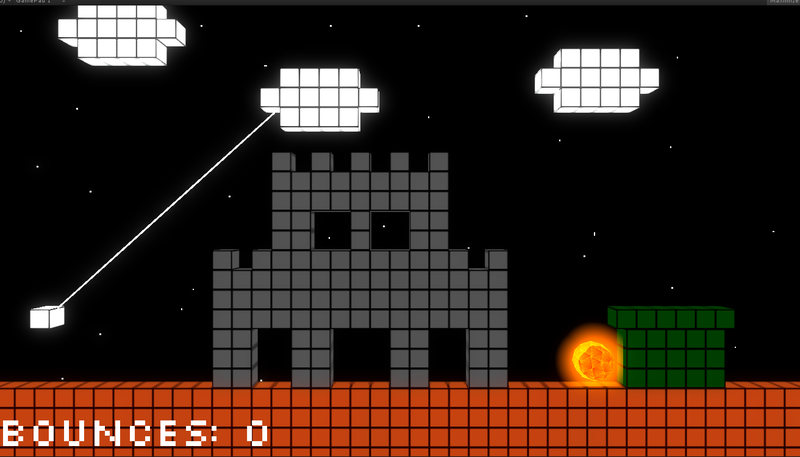 Retro gaming and indies go together like ping and pong. 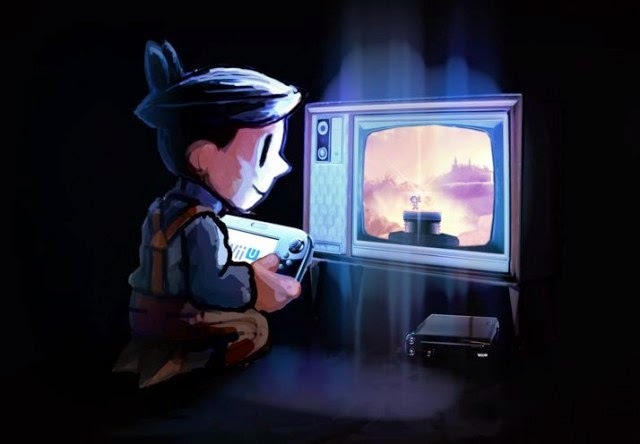 Whether it is to prey on the nostalgia of older gamers as a selling point or to pay homage to gaming's grand history, retro gaming is indeed a gameplay or visual style employed by many independent developers. Nami Tentou Mushi is one of these developers, and their arcade-style retro romp Ping 1.5+ not only delivers on simple arcade fun, but it's accessible to pretty much anyone who can learn how to bounce a ball against a wall. For its unwieldy title, Ping 1.5+ is pretty much a simple game to learn. In most levels of the game's 10+ worlds, you start with a white ball. The objective is to aim this ball and have it bounce off walls and other objects in order for it to reach the level's goal, an orange sphere. Sounds easy enough, no? the most of Ping 1.5+'s visuals. Well, then, factor in this: You have to get the ball to the goal in a set number of bounces. 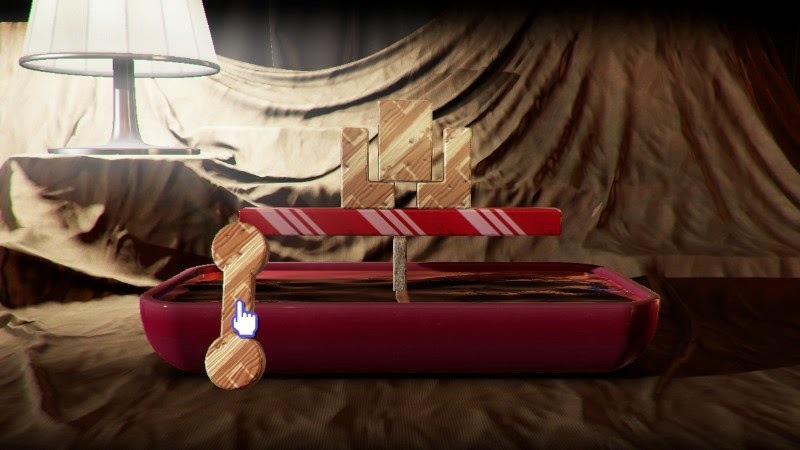 Each level has a specific number of maximum bounces you can utilize, but there's also gold, silver, and bronze stars awarded to players who bounce the ball to the goal in as few bounces as possible. Some even require just one bounce. Additionally, some levels also contain the ability to slow down the ball in mid-motion and give it a push in another direction, altering the projected path of the ball. This is certainly necessary for later levels where there are spinning and otherwise mobile objects to contend with. Outside of the general eight levels in a given world, there is a ninth one that serves as a boss level of sorts. These have you using a set number of bounces to destroy a giant yellow spherical spaceship, or have you avoid bombs as you try to obliterate 100 asteroids. These boss levels change the formula up well enough to keep Ping 1.5+ from feeling stagnant in its design. Ping 1.5+ is indeed a tough game, true to its retro feel and look. 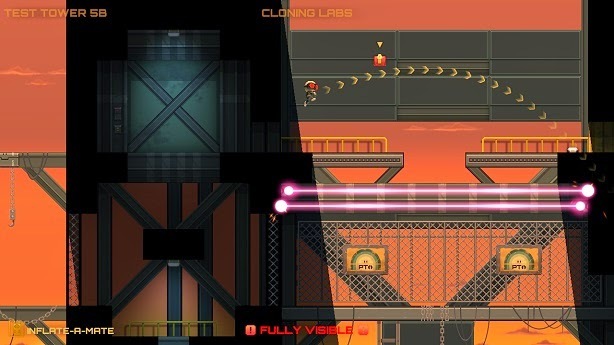 Levels down the line definitely will have you trying and then trying once again. However, your patience and persistence are rewarded. 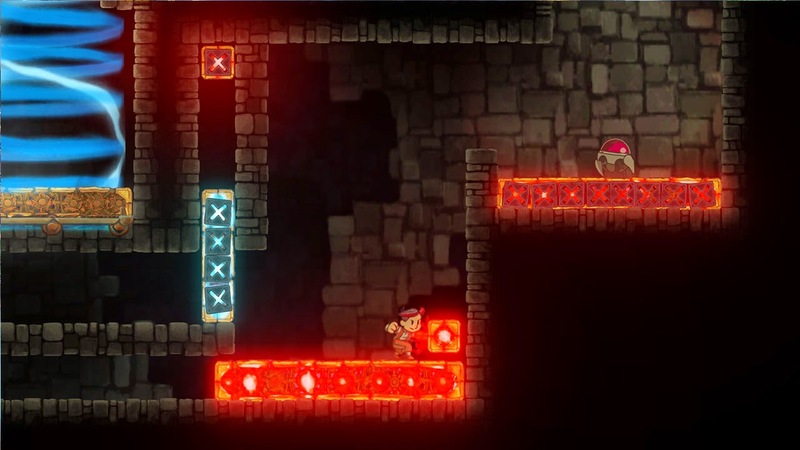 Later levels present obvious nods to other retro games, whether it be levels that resemble the castle that appears at the end of most levels in Super Mario Bros. or a jungle reminiscent of the Activision classic Pitfall. These are really cool levels that, while still challenging, make Ping 1.5+ feel more like an ode to retro gaming than it already does. bouncing along in another castle. However, some parts of Ping 1.5+ are too retro, frustrating so, too. 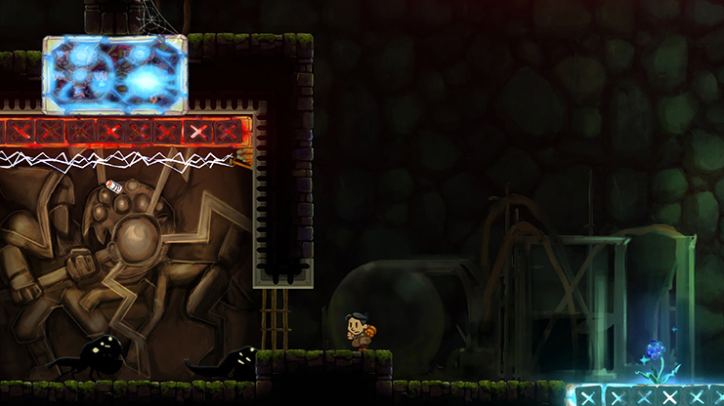 For instance, the automatic retry option when a level is failed is not the standard option available. If you want to manually restart a level, there's no option in the pause menu. No, you have to actually back out of the level and choose the one you wish to redo. 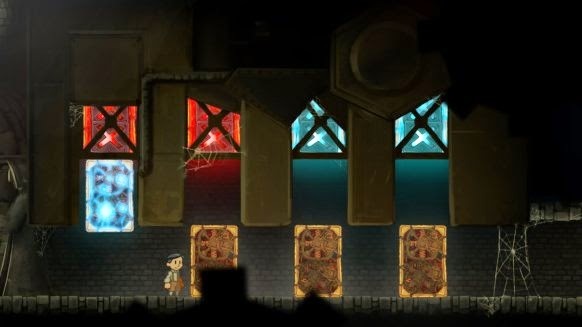 This method isn't needed for the shorter levels where five bounces is a failure, but for boss levels, a convenient retry option would have been wonderful. It's somewhat baffling that it's not here in the game. The presentation of Ping 1.5+ no doubt owes a lot to retro gaming and plenty of retro-style games like it. At the same token, the developers make this clear anyhow. 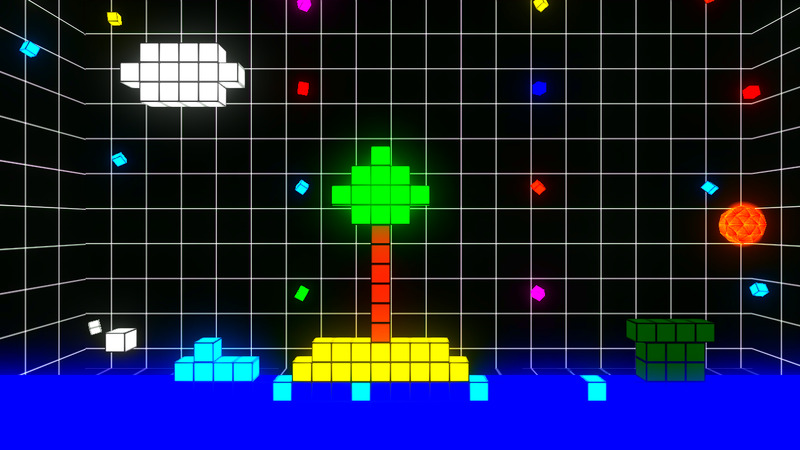 What you see is what you get-- colorful cubes, simple, flashy visual effects, and an old school pixel shape to the fonts of the game. 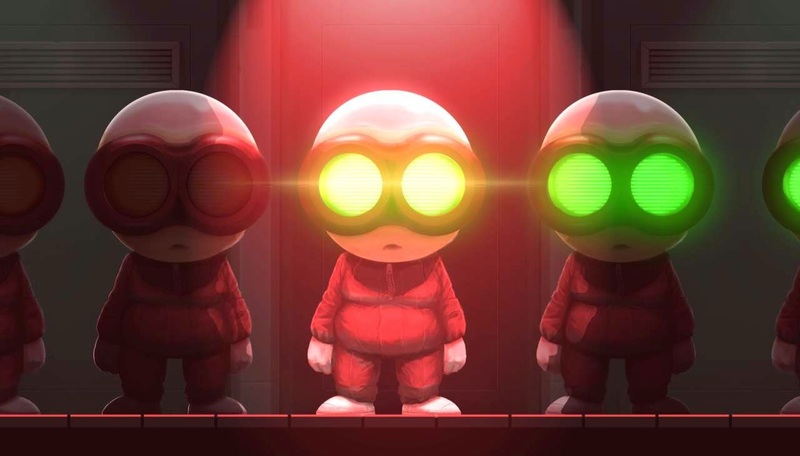 On the sound side, what you get is a catchy, infectious series of beeps and bloops that if you close your eyes, you might for a second think you're playing an NES game or old arcade cabinet game. While the visuals won't impress you cooler, hipper gamers out there, it's definitely serviceable and works well for what Ping 1.5+ is trying to emulate. 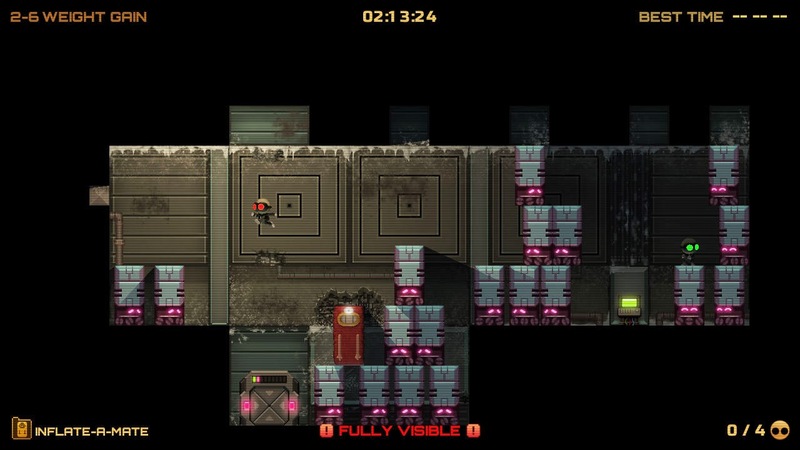 Ping 1.5+ is an affordable arcade-style puzzle game for the Wii U eShop that can really test your gamer skills. It's indeed the old cliche of being simple to learn and hard to master. With enough variety outside of the bouncing-a-ball-to-the-goal levels, Ping 1.5+ is an excellent nod to retro gaming sensibilities, and a game that might even be an engaging time to younger gamers out there as much as it is to us older folk. If you're looking for a game to rock your block off and you're a Nintendo enthusiast, you've no doubt come across or at least have heard of Shin'en Multimedia's Art of Balance series. If not, are you ever lucky because I have just the review for you! 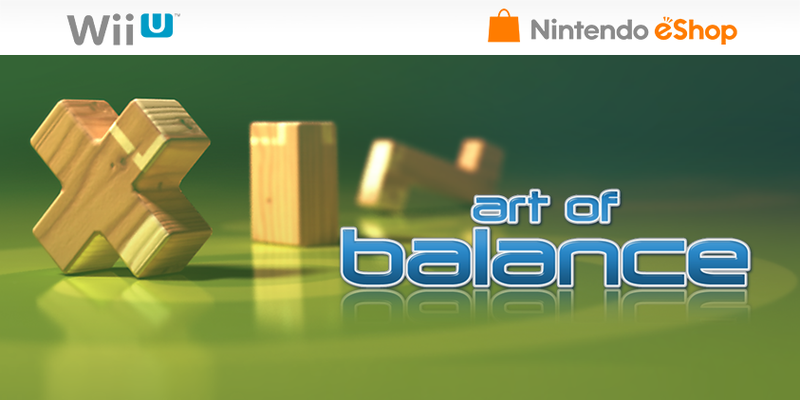 It's Art of Balance of the Wii U eShop. Easy does it, now... Easy does it..! Shin'en Multimedia is a German independent developer that is no stranger to Nintendo platforms, having worked on several Game Boy Color, Advance, Nintendo DS, Wii, and Wii U titles. With Nano Assault Neo X having just released on the PlayStation 4 and with FAST Racing Neo releasing soon on Wii U, Shin'en is as busy as ever. Despite this, that hasn't stopped the studio from releasing a peaceful, almost zen-like experience on the Wii U eShop with Art of Balance, which had games in the series on WiiWare and the 3DS eShop in the past. If you've yet to see what Art of Balance as a series offers players, now is as good a time as any to open your eyes! The gang at Shin'en is known for their expertise with getting the most out of the systems the studio works with. This holds true with the Wii U and Art of Balance, whether it's in the amazing backgrounds, brilliant water and accompanying water effects, and the physics system in place. It's pretty much nice design all over. That review tagline wasn't any joke. Easy does it, now, indeed! 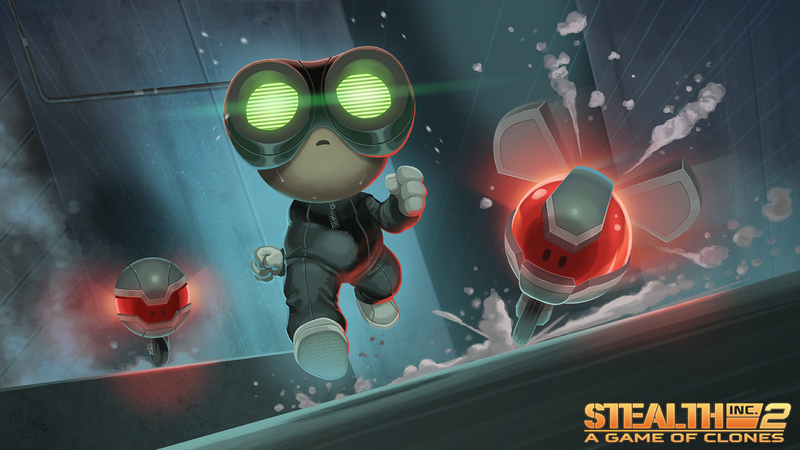 The nice design oozes into the game's menus, which are sleek, stylish, and user-friendly. You can select options with the touch screen of the Wii U GamePad or opt to use the analog stick and buttons, if that is what floats your boat. The design pours over to the world and level selection menus, showing off the levels available to play in each of Art of Balance's eight worlds. Levels are selected among a series of blocks. As one block or level is completed, the ones surrounding it open up. This means that if one level's balancing act has got you frizzled, you can sidestep it and take an alternate path to the final level. Balance games, but stick with what works, y'know? Each level has a ring amount that is added to your total as you complete it, from 1-3. The harder the level, the more rings it has attached to it, with the three ring levels generally saved as the final challenge of each world. Rings unlock new worlds to challenge your brain, concentration, and coordination, so if you're at a roadblock level-wise, you usually have enough rings to skip ahead if need be. 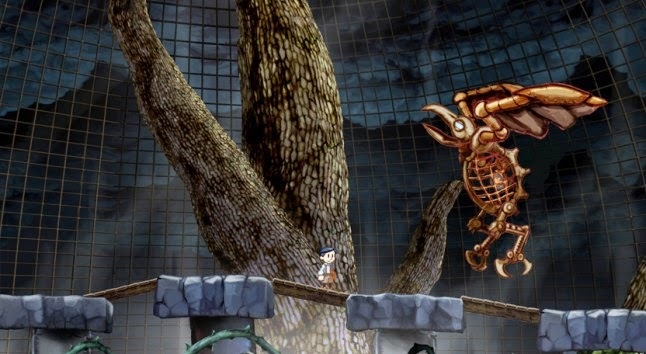 Nonetheless, you'll have hundreds of balancing challenges to tackle in the arcade mode alone. Worlds are constantly throwing in new challenges for you to take on. 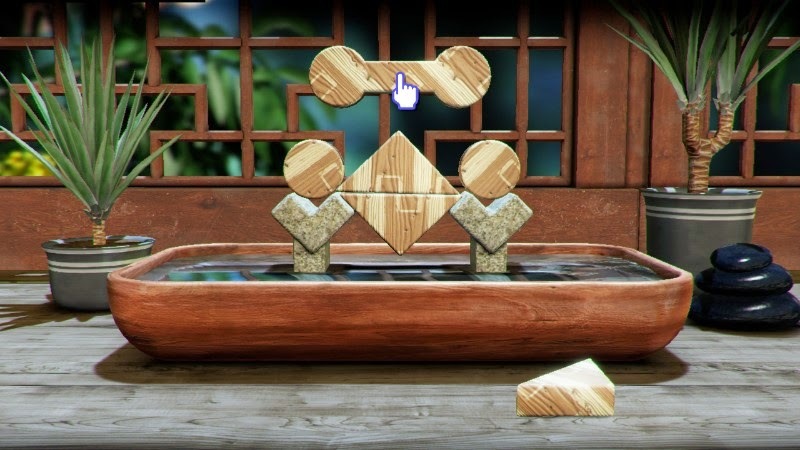 The general aim of Art of Balance is to use up all of the blocks given to you and somehow balance the tower made of the blocks for at least three whole seconds, else they'll fall into the tub of water surrounding it. A key point here is that you need not keep the tower of blocks standing for three seconds; you just need to keep it from touching the water for three seconds once all of the blocks have been placed. It definitely feels like a long three seconds when your tower is about to capsize into that pool of water! It's an awesome feeling when you successfully complete a level, seeing your tower just barely stay afloat in the process. My point is that each level gives you a great deal of satisfaction once a proper solution has been discovered (and many levels have multiple means to solve them, which is also fantastic). No! No! Stay put for just one more second! At first, the challenge of balancing wooden blocks is child's play, much like it generally is in real life (I won't judge if you're an adult who still plays with blocks). However, as you progress into later worlds, you get different block shapes and types to contend with, as well as different rules. Some blocks disappear when something touches them, while others are made of glass and break when enough weight has been distributed on top of them. Some levels require you to make your tower of blocks reach a certain height, while others deal with placing blocks on a balance beam to keep the biggest portion of weight centralized. Balancing blocks on a balancing beam. Could we possibly meta this up any more? Art of Balance on Wii U allows for at least two players on every mode, including the one just detailed. It's a terrific deal of fun chastising one another, mocking one another, and just having fun trying to perfectly balance a series of blocks. 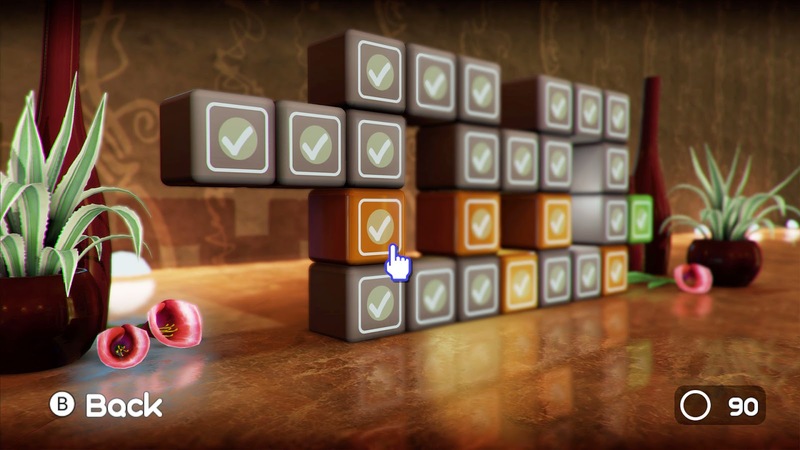 The other modes include a Jenga-like tower-building game where each player takes turns putting one block onto a foundation. The tower continues to build as players take turns placing blocks, and the player who makes the tower fall with his or her contribution doesn't earn any points while the other players do. 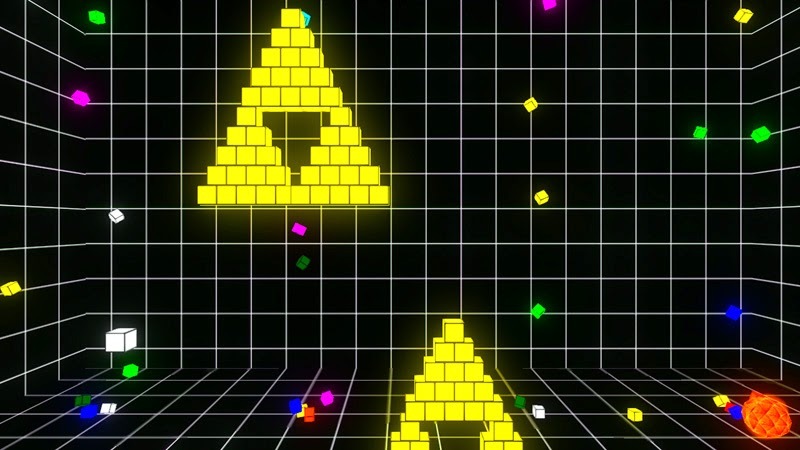 Additionally, there's an endurance mode, where you are given few opportunities to mess up, trying to complete as many levels as possible, as well as a competitive mode where players race to complete a given level with the blocks given to them. The latter mode is available locally and online, but in the case of the latter, good luck finding anyone to play with you unless you use Miiverse or some non-random search feature. 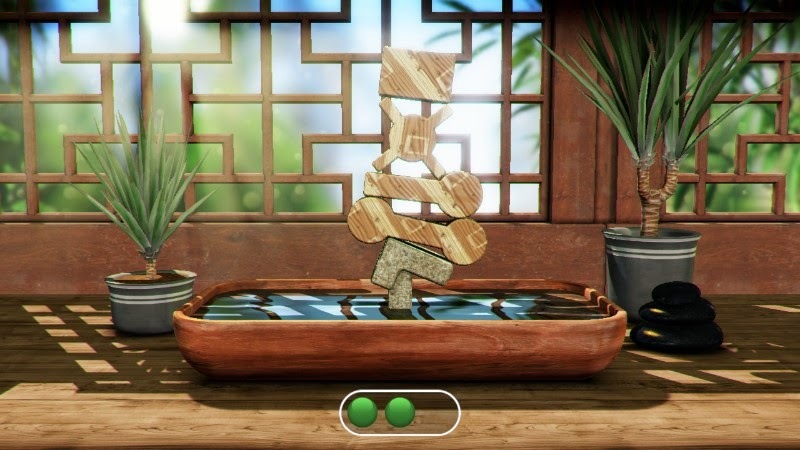 Art of Balance for the Wii U eShop is without question the definitive version of the game out there, so one could say that the third time was indeed the charm here. Though that certainly isn't to say that the previous two times were lousy! 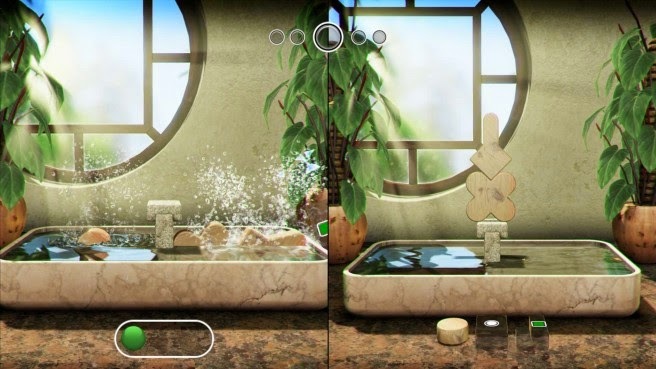 If you're looking for more features and content, you got 'em with the Wii U iteration of Art of Balance. If you're looking for a game in the series to reinvent the wheel or bring big changes to the already established formula, look elsewhere. I don't usually post box arts on SuperPhillip Central unless I really like what I see. This is one of those occasions. 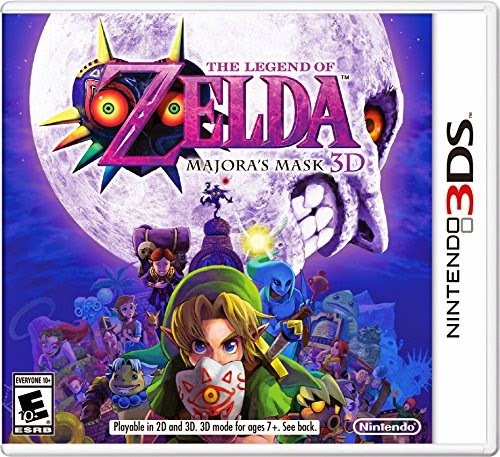 Amazon has revealed what is the current box art for the Spring 2015 release, The Legend of Zelda: Majora's Mask 3D. What do you think? Labels: box art, nintendo 3ds, north american, the legend of zelda: majora's mask 3d, u.s.
We knew Splatoon, a Wii U game which made its debut at this past year's E3, would support hectic online team multiplayer. What we didn't know was if the game would have an interesting single-player component to it. This trailer answers that question and further excites, showing that Splatoon really is like nothing else out there. We're in line to get it in the second half of 2015. A release date for the first DLC pack of Mario Kart 8 has been set. Eight new tracks, multiple new vehicles, and three new characters will release on November 13 (i.e. a week from tomorrow). Gaze in wonderment at this exceptional trailer showcasing the amazing design of the new and retro tracks being featured. After years of waiting and outcry from fans, Nintendo is finally delivering a remake of The Legend of Zelda: Majora's Mask, one of the most requested games for a remake. Maybe one day, you, too, Final Fantasy VII fans will get what you desire. For some, November is a time to grow a big beard to support a noble cause. Hopefully this is just the men who are doing this, but I'm not here to judge. Regardless, SuperPhillip Central's Favorite VGMs is all about no bad VGMs this month. Then again, it's my wish that you can consider every month one where there are no bad VGMs. Good VGMs being subjective and everything. 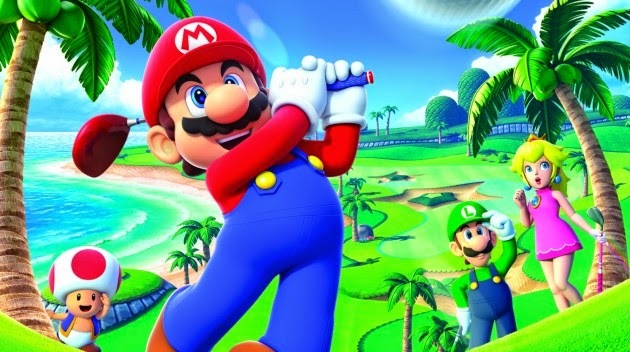 This week we have music from Mario Golf: World Tour, Rayman Origins, and Super Street Fighter IV, to deliver some good tunes to your good ears. We kick this edition off with two recent Mario sports titles. The first of which is one of my personal favorite Mario sports titles ever created, Mario Golf: World Tour for the Nintendo 3DS. Not only did it have an abundance of holes to play on, but it had online tournaments, Mii customization, and so much more. As usual with Camelot-developed games, Motoi Sakuraba was at the composition helm for this game. 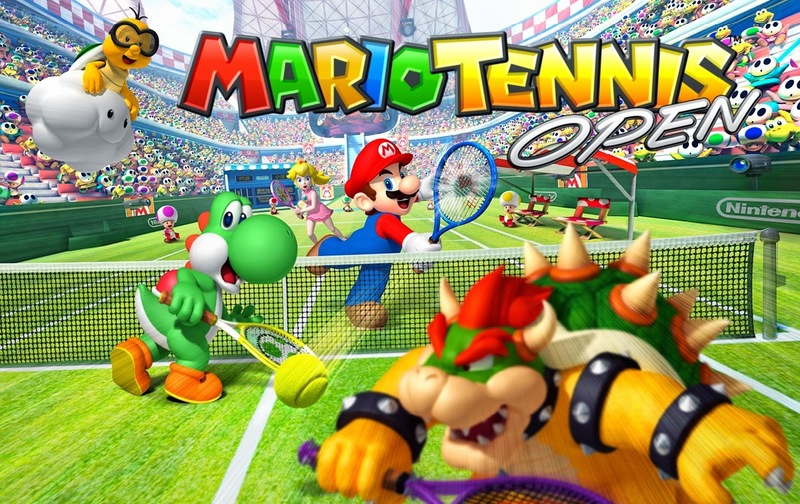 A study in contrast, while Mario Golf: World Tour was packed to the brim with content, Mario Tennis Open was decidedly a bit bare-bones in comparison. Heck, it was bare-bones in comparison to other games in its own genre and even series. That said, I still enjoyed my time with it, and I find the soundtrack to be a sizable part of that, once again composed by Motoi Sakuraba. 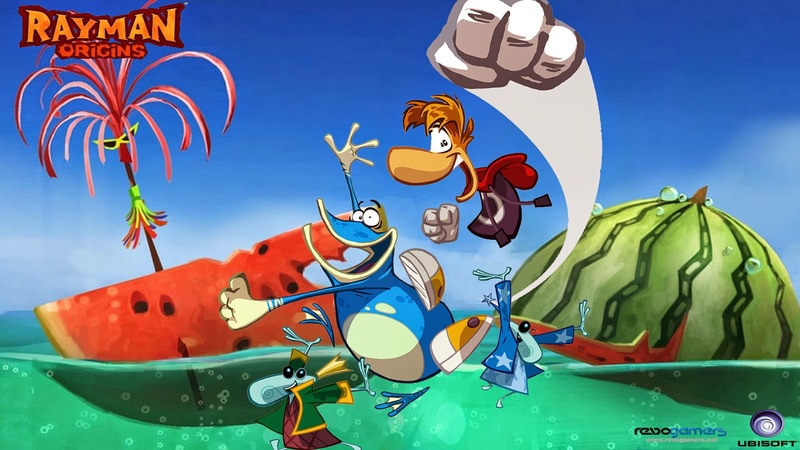 Rayman Origins wasn't just a game with a terrific visual style and sensational soundtrack-- it was an immaculate 2D platformer that only made the wait for its sequel, Rayman Legends, that much harder. Christopher Heral was the composer behind both games, but I enjoyed his work more on Origins than what was available in Legends. Don't get me wrong, however-- that soundtrack was really good, too. We go to a game that is getting recognition on SuperPhillip Central's Favorite VGMs for the first time, and it's about time, too! 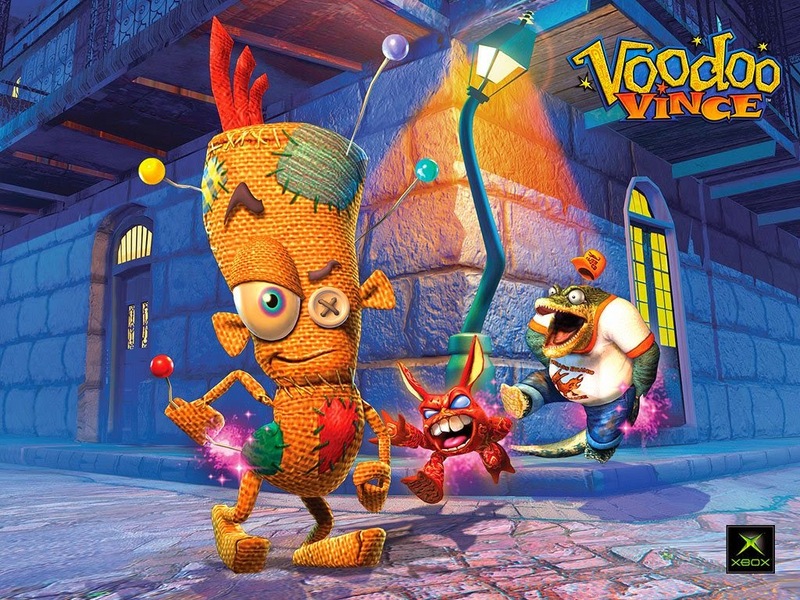 This theme comes from the severely underrated 3D platformer for the Xbox, Voodoo Vince. This was back in the day when the Xbox brand wasn't so focused on the 18-35 male gamer who tends to hover towards shooters, sports games, and racers. It's sad because I had high hopes for the Xbox brand back then. Quick! To the next VGM before I depress myself! 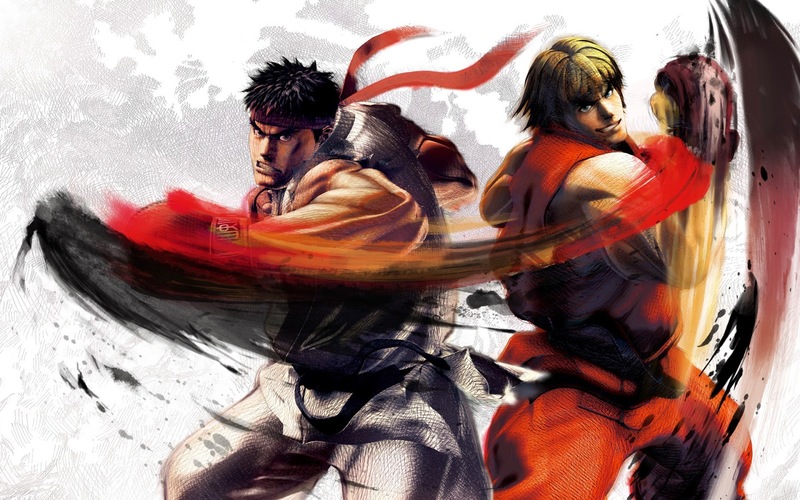 Our last VGM of this edition comes from Super Street Fighter IV. Fighting games where memorizing button combos is key are the bane to my gaming existence. I'm horrible at them, yet I keep coming back for more, as I get some enjoyment out of them. The Street Fighter series is no exception, and this chill electronica theme for the drive-in stage is of great contrast to the hot and heated action that takes place on it. Here's a cute and clever commercial for the upcoming Sonic Boom: Rise of Lyric for the Wii U. I'm cautiously optimistic about this game, as early videos weren't so hot. This new stuff is much more intriguing and polished. We'll see how well the game turns out when it releases in a couple of weeks.